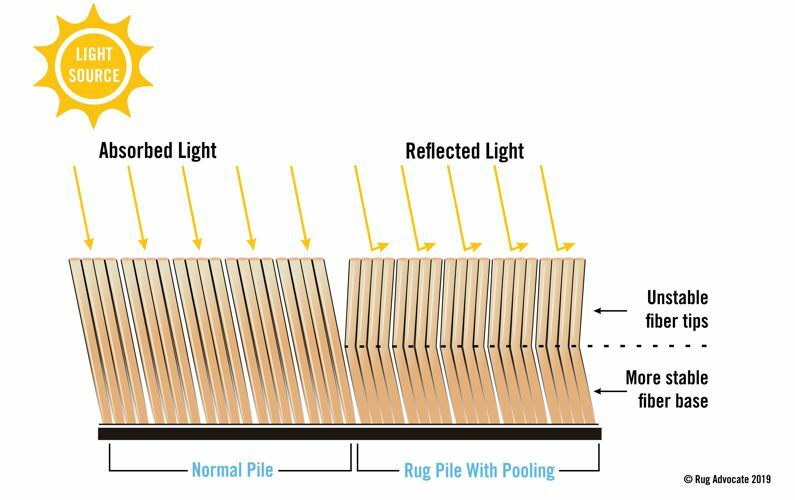 The term “POOLING” refers to the natural phenomenon of permanently altered patches of carpet or area rug that form in the shape of a puddle. These areas appear discolored because the fibers have become compressed in such a way that they no longer absorb light the same way as the rest of the carpet or rug. Rather, these fibers now reflect light and will appear brighter than the non-affected fibers all around them. When the rug is rotated 180 degrees, the opposite is true – the affected areas appear darker than the non-affected areas. No wear or traffic patterns are necessary for pooling to appear. Even NEW area rugs and wall-to-wall carpet are subject to these permanent pile distortion patches. Longer, loose-woven fibers of plush-piled rugs and carpet, and lower performing fibers like faux silk, viscose, and or Tencel seem to be especially prone to pooling. There is nothing that can be done to permanently reverse or repair the appearance of a rug or carpet with pooling. While rug and carpet cleaners may be able to apply steam and groom out the affected areas, these are strictly temporary fixes with very limited results. You may try to lessen the pooling appearance yourself by moving your area rug to a room with a different furniture layout. Or, in the case of wall-to-wall carpet, try re-arranging your furniture to cover it up. 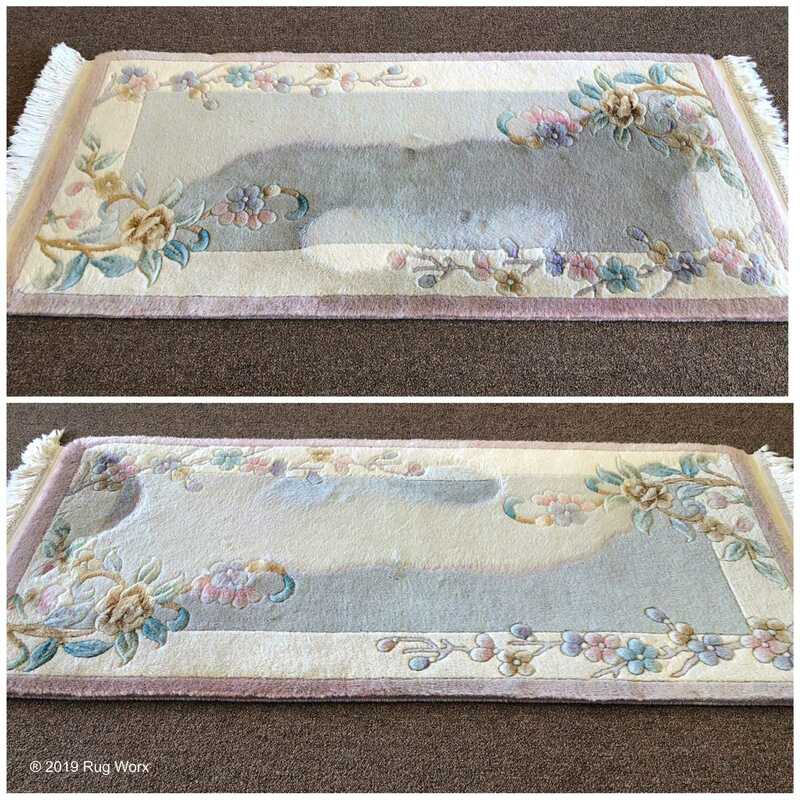 Rug and carpet manufacturers cannot and should not be held responsible for this phenomenon. Pooling is not considered a manufacturer defect. There are too many variables involved to point blame at just one factor. Also, pooling will not affect the durability of a rug or carpet. Choose an area rug or carpet with a pattern. Patterns help hide anomalies like pooling and other stains that may appear over time and use. Choose an area rug or carpet without a longer, loose pile. A shorter, more dense pile or even a loop pile means less fiber compression during manufacturing, delivery, installation, and use, hereby reducing the chance of pooling.